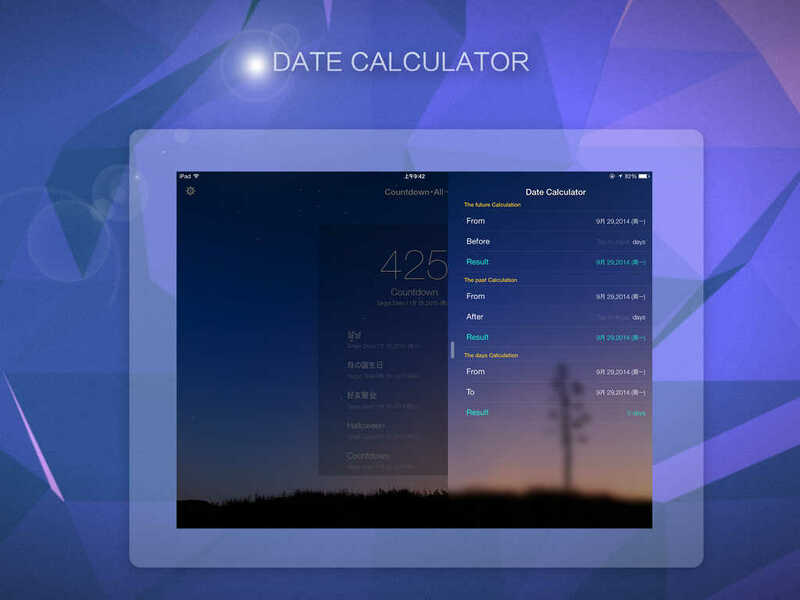 Countdown - Reminder of your big days! 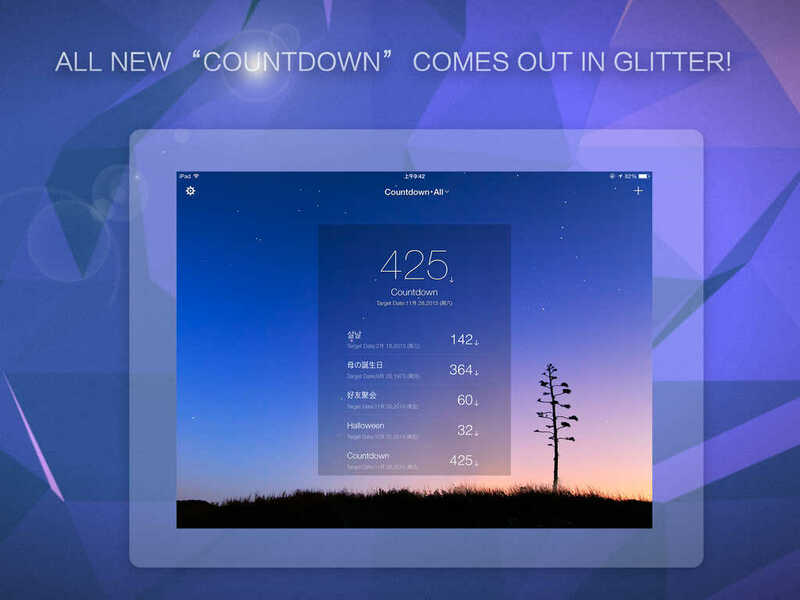 All new “Countdown” comes out in glitter! 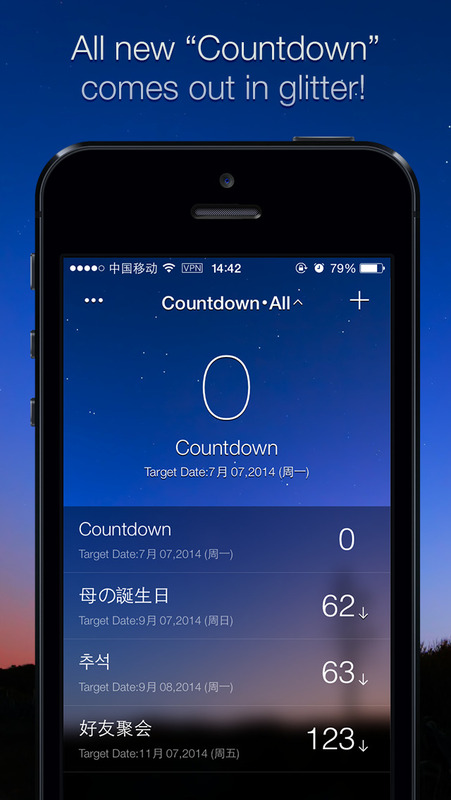 iOS7’s blur filter, flat design have wholly fit into the newest “Countdown”, an unprecedented product that we immerse ourselves in creating and hope you enjoy. 4. Mark with icon and number. 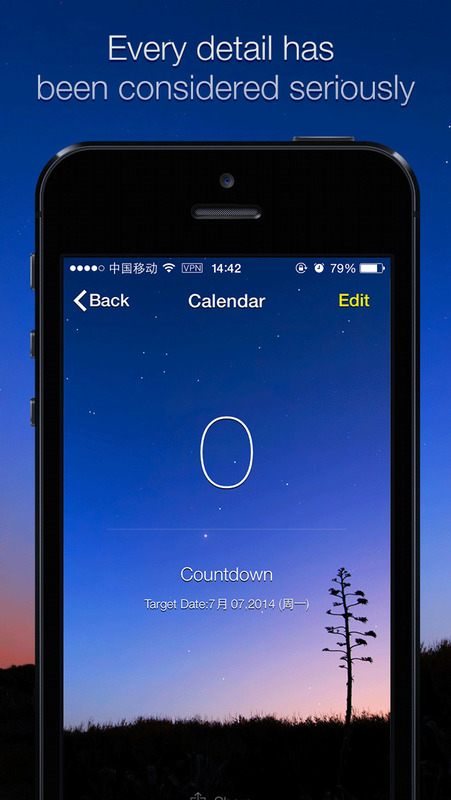 8. iOS calendar event read and push. 1. Event countdown available from 1 AD to 9999 AD. 3. Custom event repeat cycle. 5. Reminder push time change. 6. Top event push daily. 7. Top event icon and number updates. 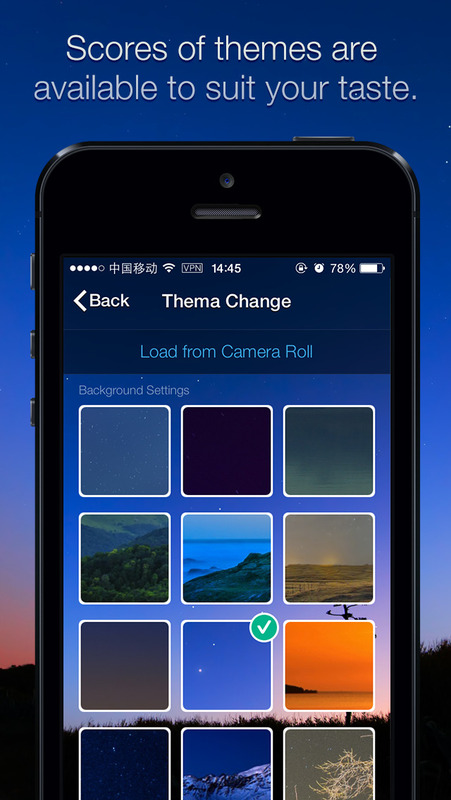 Particle Camera＋ Give play to your creativity and get special photos! Truth or Dare Lite !